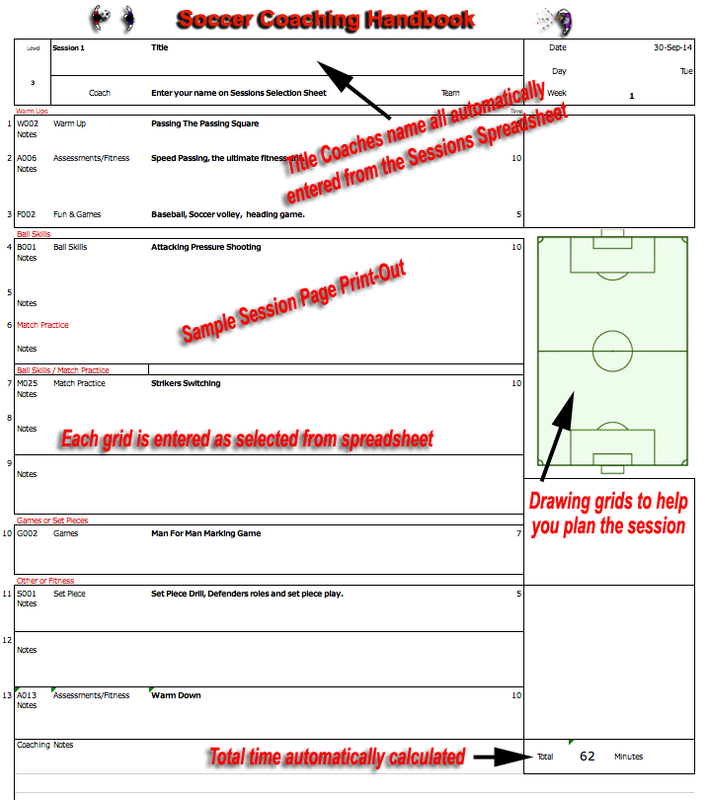 I strongly suggest that you use the setup and download the planning sheets from Coaching Tools, then save grids as you need them and put them into a folder. 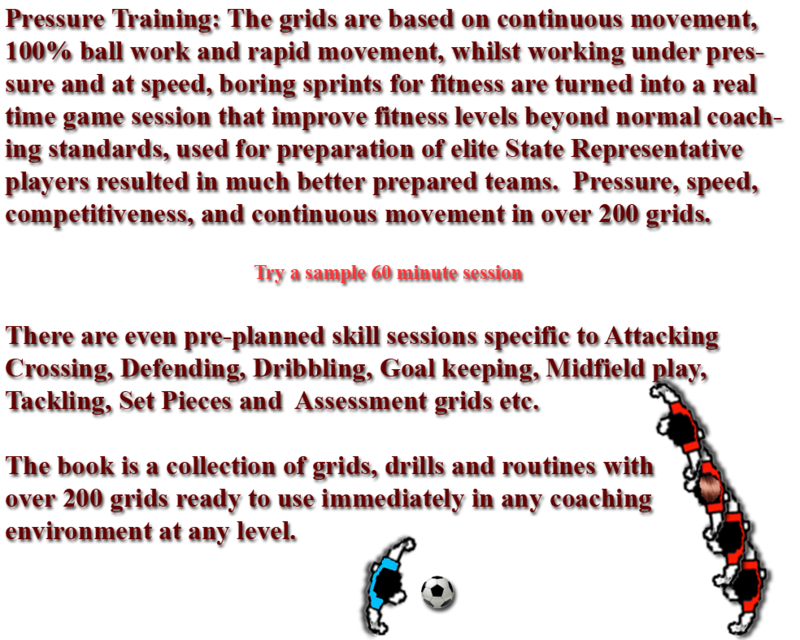 Create your sessions using grids from either Warm Up, Ball Skills, Match Practice, Fun, Set Pieces, Fitness or Games grids. Is suitable for Junior players up to about 11 and includes basic skill development and fun routines with lots of action and ball work. 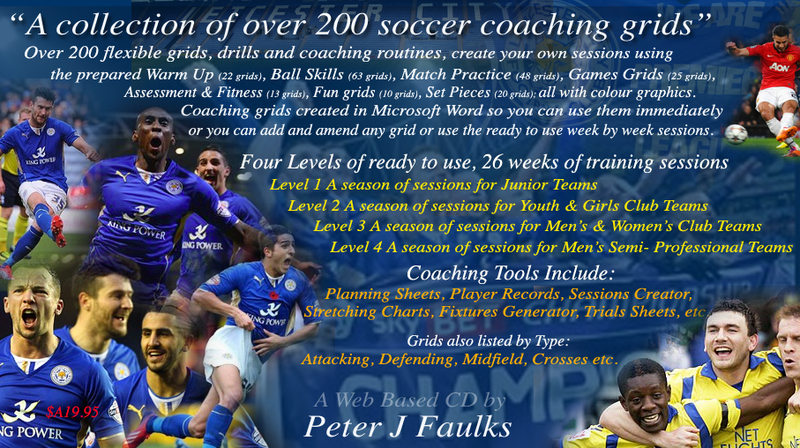 26 weekly sessions for Juniors each week contains a full session starting with warm up grids, followed by ball skills then several match practice grids specific to developing tactics and a skills specific game, the session ends with a warm down. 26 weekly sessions for Club men and women teams is the pre-season through to finals sessions where fitness, speed and match awareness is developed, teams will use developments in sessions to vary the skill base and will have specific sessions on set pieces and fitness. 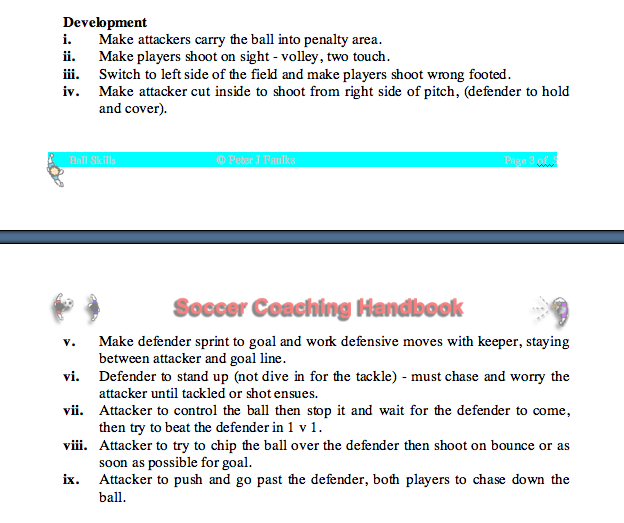 Each rotating grid allows defenders and attackers to deal with their own and opposing skill requirements. 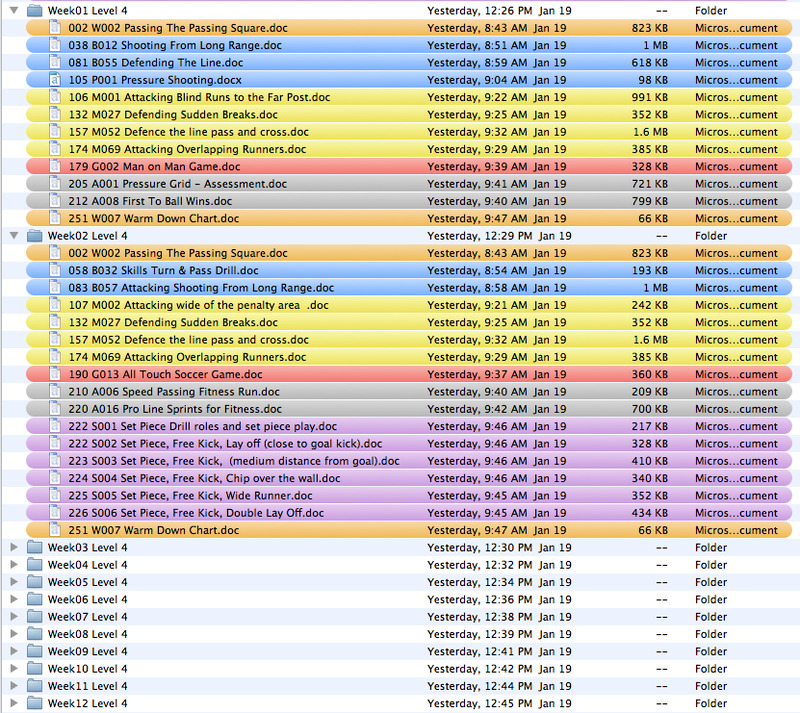 The web page contains all the above sessions and every grid available. 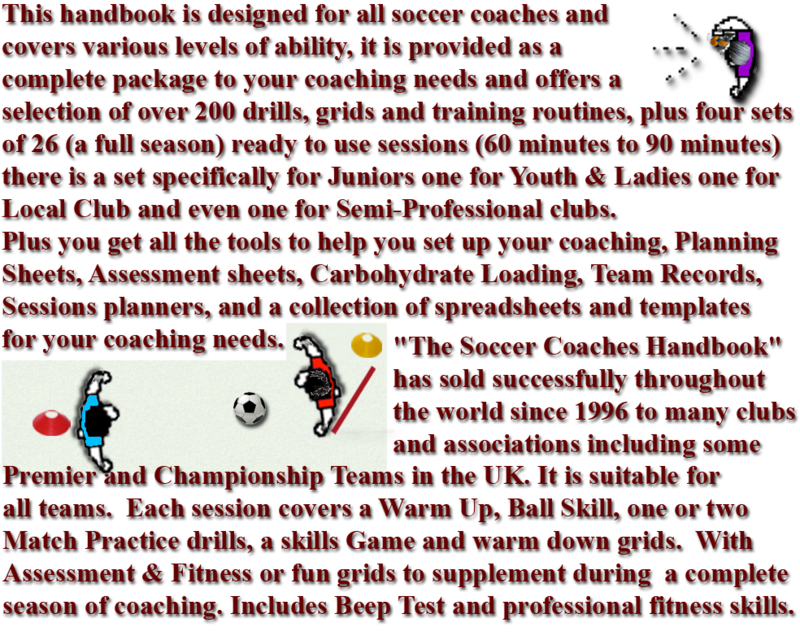 26 weekly sessions for Semi-Pro teams Using the grids there are developments alternative play and Phase ii (high skill) grids that allow you to run a session and then run the same session using the progressive Developments or Phase ii requirement. Most of these grids start at Phase ii of previous grids. 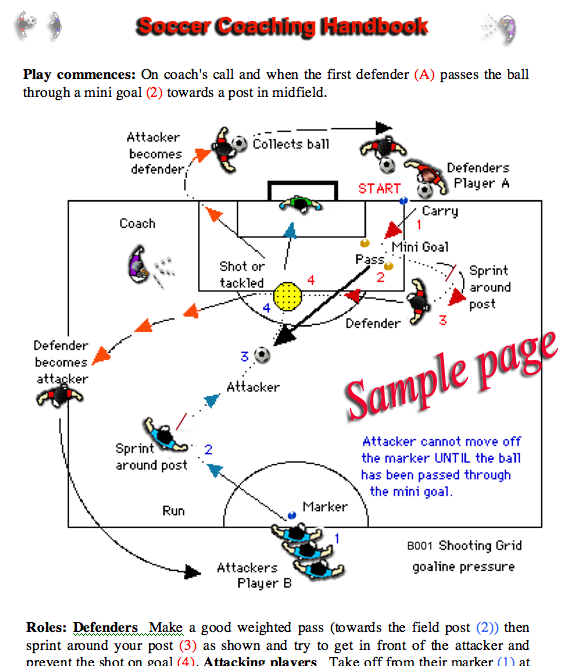 Here the intensity and pressure is increased along with added skill requirements, player will need to work harder and ay greater pressure to complete each weekly session.